Please contact us if you would like to come meet Grey, or would like any more information. This kind quarter horse is looking for some more saddle time! Gray is as kind as they come, and would really enjoy consistent work and riding partner. Gray was originally broke western, and enjoyed western gaming. More recently Gray has been ridden english and has come along well. He is safe, steady and honest, making him a great novice or children’s horse. Gray is looking for an english rider who is interested in the more casual riding lifestyle. He is an amazing trail partner and is very road and traffic safe. Gray would be an excellent horse for an older rider looking for some easy-going saddle time, or a rider looking for a consistent horse to work and ride, who is sweet, kind and safe – a true gentleman. Gray is a great flat horse, and he has jumped some small jumps in the past and seemed to enjoy them as well. There are no limits for Gray, and he could compete competitively if he was worked routinely. 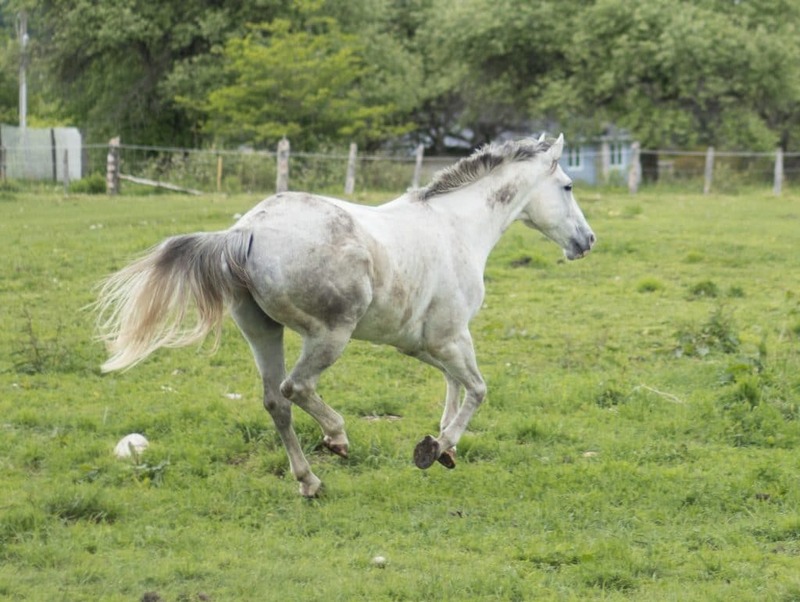 Gray would be suited for a novice rider and up, or even a rusty rider looking for some safe saddle time, and a lovely horse to bond with. Extreme preference would be given to an in-house full or part lease. Very flexible/variable and personalized lease details (number of rides, costs associated etc.). Off-property lease available to approved facilities/programs with stipulations. For more details on Gray, you can visit his bio on, Our Horses Page.